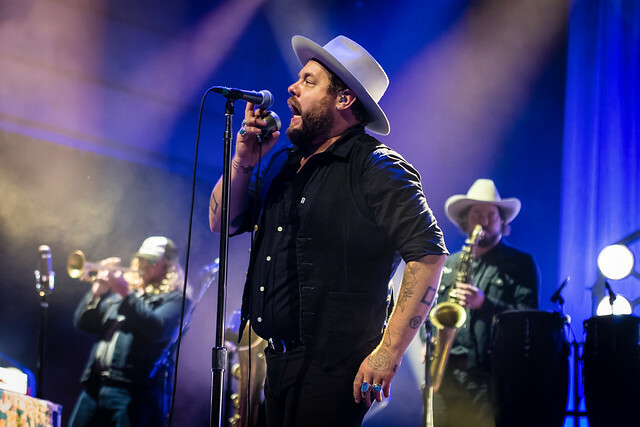 Posted on 05/21/2018 by Ari Strauss	in Live Review and tagged Americana, Colorado, Denver, folk, Nathaniel Rateliff, R&B, The Anthem, The Night Sweats. When Nathaniel Rateliff took the stage at The Anthem, his eyes widened as he surveyed the vastness of DC’s newest and largest music venue at The Wharf. “I’ll be honest with you, I didn’t know we were playing here when we got to DC; I never heard of The Anthem,” Nathaniel confided to the audience. “This place is huge, and I can’t believe ya’ll filled it up!” The 6,000-plus sell-out crowd responded with a roar of appreciation last week.